Due to transportation factors we have proposed to the BOE moving up our districts start and end times by 15 minutes starting next school year. One of the biggest issues this year was late buses due to sub or new drivers. The reason why we tend to get a lot of sub/new drivers is that because of our school times, the drivers cannot do another route after taking our children home. This means less money for the driver. As soon as there is an opening for a route that is longer, our drivers put in for that. This means for us, sub/new drivers who do not start on time, who do not know the routes, and who do not know the children. All of this is bad for our children and our families. We want the highest quality of driver with our children and consistent pick up and drop off times. In addition, since our drivers cannot do additional routes, the costs of running our buses is set to increase 28% over the next three year contract. If we move to times that allow drivers to take additional routes, those costs increase 14% over the next three year contract instead. So, next year your child's day would change by 15 minutes. It won't get any longer or shorter, but the start and end times will be moved up. We hope that by getting this information out as soon as possible it will allow you time to start preparing for August of 2019. We realize our working families may have some adjustments to make with childcare, etc. Feel free to send me an email if you have questions or concerns. We understand that these earlier times may affect those before school activities that take place. 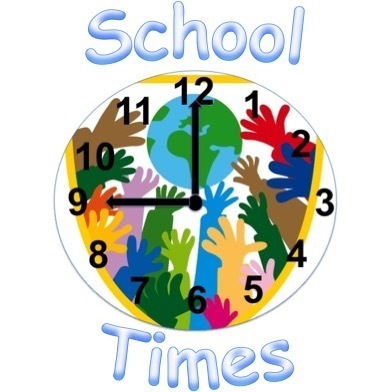 The times below reflect the new start and end times proposed for 2019-2020 school year.